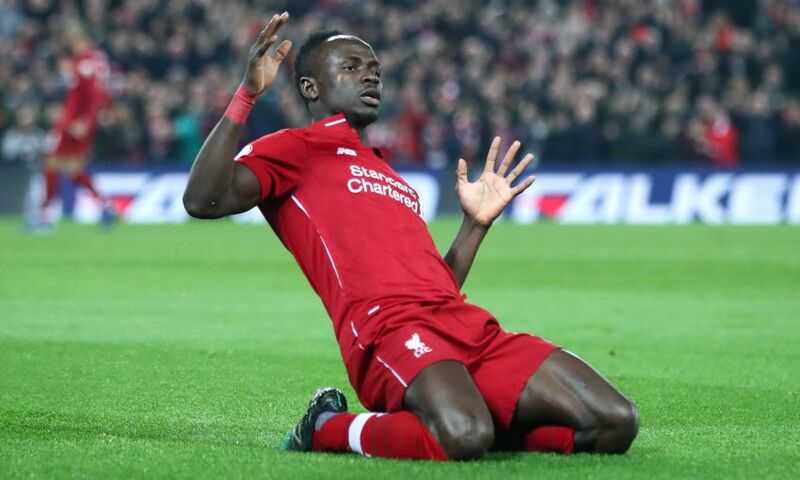 Sadio Mane willingly took up a central position in the Liverpool attack against Watford that helped him score a goal he considers one of the most remarkable of his career so far. With Roberto Firmino ruled out of the Premier League match at Anfield, Jürgen Klopp brought in Divock Origi on the left of his front three and moved Mane into the middle. The tactical adjustment worked a treat as the Reds No.10 struck twice inside the opening 20 minutes to inspire an eventual 5-0 victory for the division’s leaders. His first was a clinical header into the top corner. His second was a backheel flick that, with his body moving away from goal, he somehow lifted over Ben Foster and in. Mane told Liverpoolfc.com: “Trent made a very good cross and I was in the box, I was a lucky boy and I scored. It’s one of [the most adventurous goals I’ve scored], yes! “But the most important thing is the three points and we got it, so I’m happy. “We started fast in the game, we moved quickly with and without the ball and created many chances. We scored five goals and we deserved the win. The status quo was unchanged at the top of the Premier League as Manchester City remained one point behind Liverpool courtesy of a 1-0 win against West Ham United. Next up for Klopp’s men is the short trip for the Merseyside derby with Everton on Sunday and Mane, who was the match-winner at Goodison Park two seasons ago, believes the Reds are well equipped for another big test. “The win gives us more confidence,” he added.